Are you taking a yellow train? You’re in Holland! 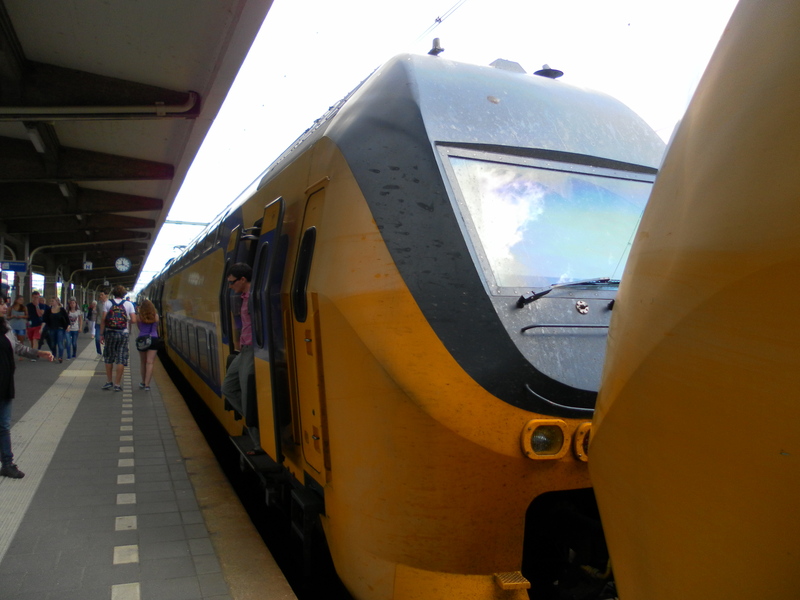 I leave Amsterdam early, saying goodbye to Alberto to embark on my journey to France. 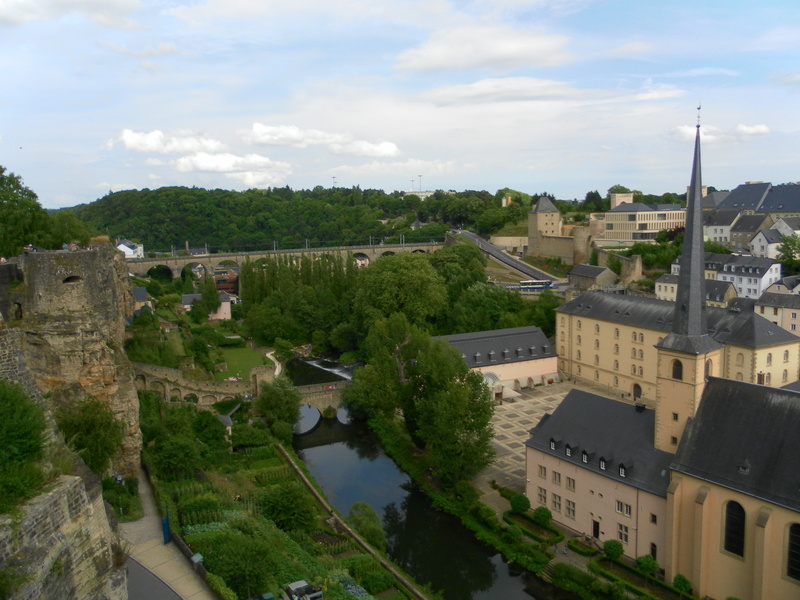 In around 6 hours I’ll arrive in Luxembourg. I must be in Marseille tomorrow, so I hope to find a place in the night train which leaves from Luxembourg this evening. If not, I will have to spend the night between a lot of trains and unknown stations. The uncertainties of InterRail make the journey adventurous and interesting. The train seems to move too slowly today. Maybe the cause is the numbness due to fatigue, maybe the desire to be already arrived and to explore the capital city of this little Country. On the last one of the 4 trains I take, the right music in the ears, joint to the landscape which slides showing me woods, fields, large lawns with grazing cows, even a fox running from tree to tree,I find the enthusiasm to travel by train. I realize that in this experience often the important thing is the journey itself, not its destination, because it is during the displacements that I’ve time to reflect, to metabolize what I lived during the last step and, at the same time, to daydream about the next one, imagining places I’ll see, people I’ll know, experiences I’ll live. In Luxembourg I can book the night train to Marseille. Now I’m relaxed and I have around 4 hours to visit the city. This little but important European crossroads has a big charm, intrinsic in its history, in the walls of the houses which overlook on these old streets. Prowling the streets of downtown, I seem to find in one of those villages scattered in Italian Alps, with sloping roofs of black stone. I think to snow in winter, to how it would make the city enchanted. The packpack is heavy, but I carry it willingly, my faithful traveling companion. The city offers luxury services and I, a little scruffy because of the travel, feel the white fly in the high-ranking crowd of this place. I explore the old walls surrounding the village, remaining enchanted by the valley that extends below the cliff. I sit on a bench to have dinner with what is left in the backpack from Holland: an half of baguette and a tin of herrings. A couple pass in front of me saying “bon apetit”: I feel happy. 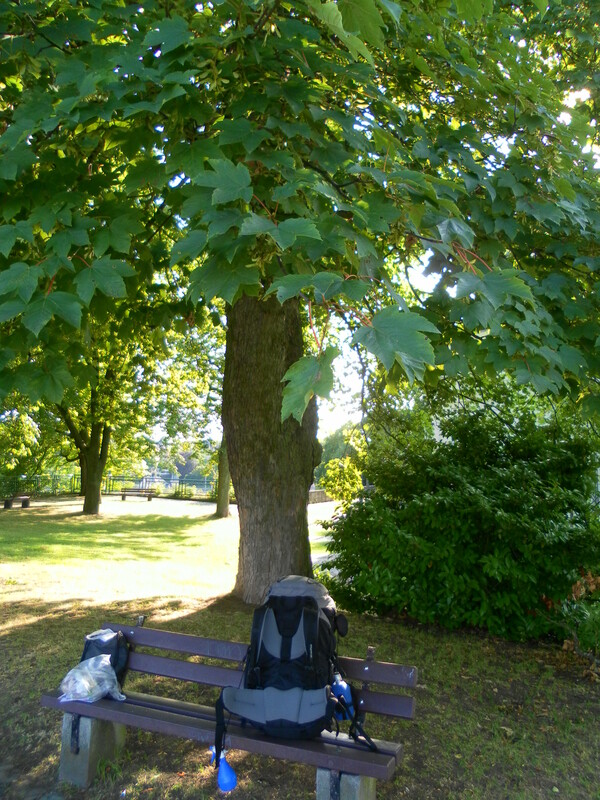 Once again I realize how this backpack next to me gives to who see me a precise picture of me: the traveler who transmits sympathy, makes imagining adventures and arouses a sense of solidarity. I look over the parapet of the big grassy terracing on which I am, I see a train passing on a the big viaduct which cut in two parts the valley: I am ready to depart again. My couchette is in a 6-people compartment, but there is only an Italian woman with me. She’s from San Remo and she decides to tell me her whole life. I willingly share a couple of hour of chatting after this day alone, then I fall asleep with the clanking rhythm of the train which is plowing through the night. Questa voce è stata pubblicata il 21 ottobre 2014 da andreacuminatto in ARTICLES IN ENGLISH, Travels con tag 1, 2007, 30, 7, Amsterdam, backpack, couchette, Couchsurfing, days, dinner, Dutch, Europe, Florence, France, freedom, Holland, inter rail, intercultural, InterRail, Italy, language, languages, liberty, Luxembourg, map, Marseille, Netherlander, Netherlands, night, north, one, railway, Rotterdam, San Remo, train, travel.